A group about loving, connecting, serving, learning and celebrating together. 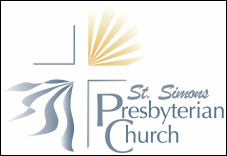 The purpose of Try Something New is to help fill the spiritual, physical, intellectual, emotional and social needs of God's older children at Saint Simons Presbyterian Church. Spiritual Needs: Bible studies, Sunday School, preaching, contemplative space, communion to shut-ins, visitation, notes and cards, labyrinth and contemplative activities, garden space (new lot), speakers talking about current issues including human trafficking, internet usage, drug abuse, basic Bible classes, volunteer opportunities, and weekend retreats. Physical Needs: Rides to church, rides to hospital visits, food deliveries, CPR and AED training, yoga, self defense, talks addressing aging, parish nurse, and exercise class. Intellectual Needs: Discussion groups (speakers), book clubs, moyie- goers clubs, Isle of Hope/Wormsloe Trip, and study works of theologians. Emotional Needs: Home visits, singles activities, support groups for those who have lost spouses, support groups for those with chronic illnesses including dementia, structured lay shut-in visitation (in addition to pastoral visitation), offer relief to constant caregivers by sitting with care receivers, celebration of birthdays, and greeting card ministry.